The Israeli government released a report Sunday claiming to reveal close links between the Palestinian-led boycott movement against Israel and terror groups. Israel’s Strategic Affairs Ministry, which leads the country’s efforts against the boycott movement, said it uncovered extensive connections between pro-boycott groups and activists affiliated with Hamas and the Popular Front for the Liberation of Palestine. The 80-page report claims several dozen current or former members of the Palestinian groups, both designated terrorist organizations by the U.S., European Union and Israel, are involved in BDS activity through Palestinian and international NGOs. Most of the cases were based on somewhat vague accusations of affiliation or expressions of sympathy for terror groups, in some instances connected to acts that took place years ago. A female Palestinian lawmaker cited in the report, for instance, has been jailed by Israel for over a year without being charged with a crime. At least two people on the list have received international recognitions for their “human rights” work. 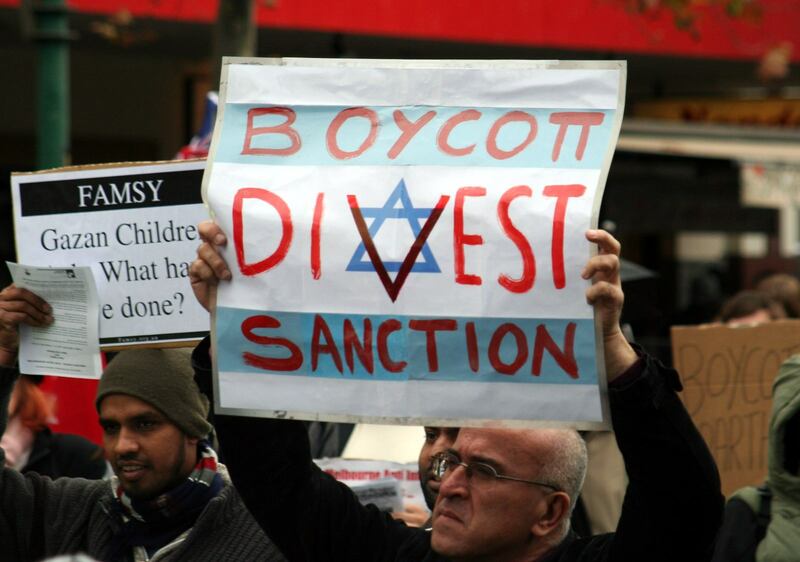 The BDS movement has grown in popularity overseas in recent years, in large part because of its nonviolent message. It declined to comment on the allegations in the Israeli report. “This wildly fabricated and recycled propaganda report from the far-right Israeli government cannot be dignified with any response,” it said.